Getting that last bit of shampoo or washing up liquid out of a bottle is a total pain. Researchers have now engineered a surface coating that allows thick and soapy products to slide right out — meaning you’ll never have to store your shampoo bottle upside down ever again. 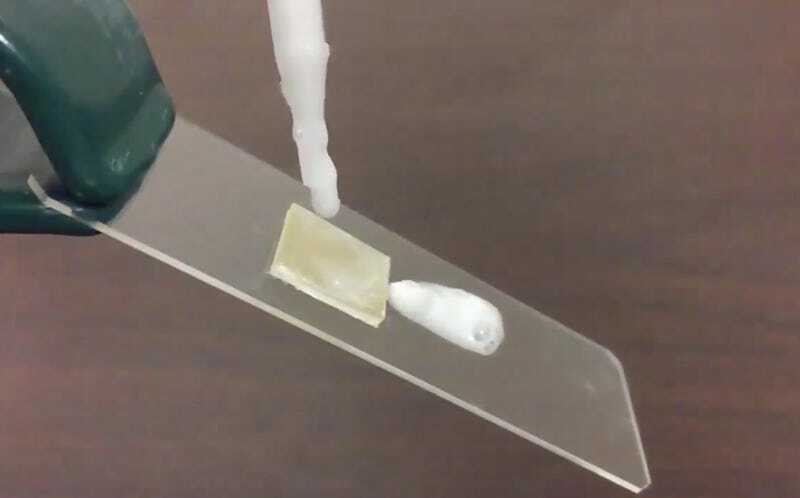 In a new paper, Ohio State University researchers Bharat Bhushan and Philip S. Brown describe a new surface coating that enables sticky liquids like shampoo and oil to slide cleanly out of a bottle. Importantly, this super-repellent surface works with polypropylene, a common plastic that’s used to package food and other consumer products. The issue has to do with surface tension, which is the tendency of molecules to stick to each other. Ketchup and other sauces have a lot of water in them, and water molecules like to hold on to each other more than they like to stick to plastic. Soapy compounds, on the other hand, have a very low surface tension and stick to plastic quite easily. Scientists have struggled to find the right formula to enable these surfactants to just slide off. At the same time, any solution would also have to be environmentally friendly and cheap. Surfaces that repel liquids with low surface tension are called superoleophobic, and they actually exist in nature (the lotus leaf being a good example). To create their new, highly oil-repellent surface, the researchers found a way to manufacture a coating with the required level of roughness. Like the surface of a lotus leaf, this slippery material was able to produce tiny air pockets between the surface and the oil, while also providing a surface with low tension. This was done by spraying a small amount of solvent and ultra-fine silica nanoparticles to the inside of the bottle. 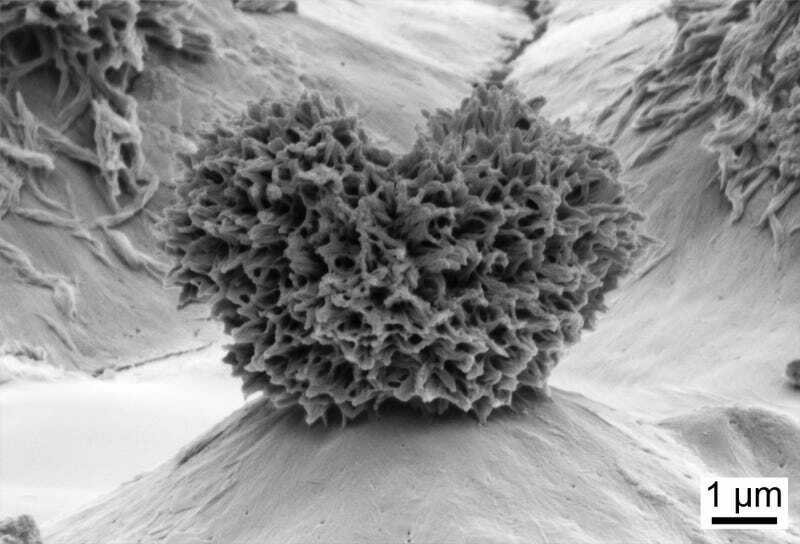 These tiny structures look like shaggy, heart-shaped pillows, but they’re hard as glass. When soap or oil come into contact with a coating embedded with these nanoparticles their molecules can’t fall in between the resulting branches. It ends up creating air pockets underneath, which in turns provides liquid repellency. So instead of spreading out on the surface, the droplets form beads and slip right off.